The biggest enemy I have is Spy. 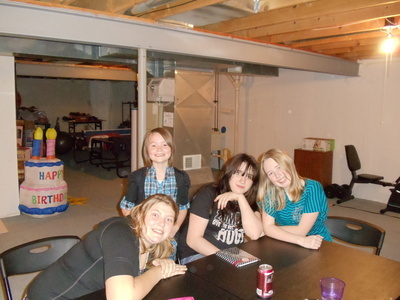 Alana's the one with the black hair, im the blonde with the blue shirt, the little girl is ,my sister, and the one with the deer-in-headlights face is Allie. Mine XD I highly doubt all my Friends would come to her birthday party.